This is the official community page for Blue Mountains National Park. On the 10th (Sun), browse for treasures at Hazelbrook Cottage Antiques, stop by Rick Rutherford's Country, get to know the fascinating history of The National Pass, get great views at Anvil Rock Lookout, then stroll through Cathedral of Ferns Walk, and finally take your sightseeing to a higher altitude at Bebeah. 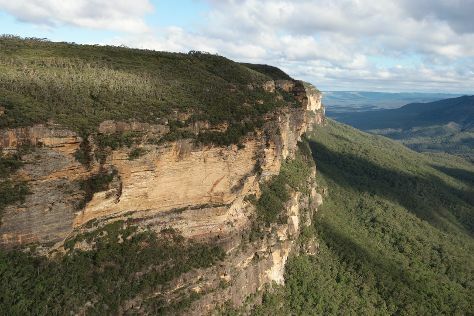 For traveler tips, reviews, maps, and other tourist information, you can read our Blue Mountains National Park trip site . In February, plan for daily highs up to 33°C, and evening lows to 20°C. Finish your sightseeing early on the 10th (Sun) so you can travel back home.